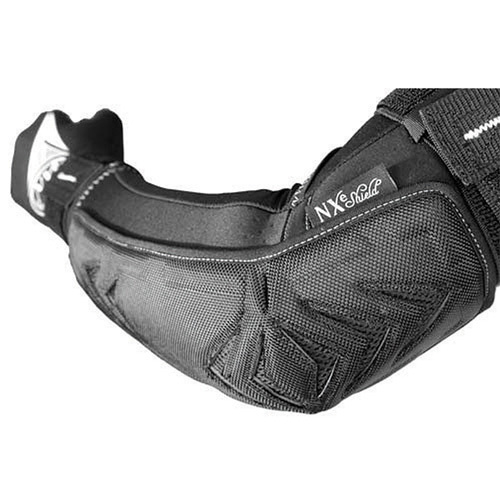 Nxe Techna-flex Elbow Shield. Triple layered impact absorbing elbow and forearm pad. Technically designed tri-core flexi-form elbow cup. Dobby weave ballistic nylon. Moisture wicking vented Lycra and breathable neoprene. Three tiered securing system.